Brand new UniLite LED pens. Super bright, super price!! Please note - No batteries are supplied with these torches. Product Number : E78AHB2. Suitable for proximity lighting, with constant lighting technology that ensures brightness does not gradually decrease as the battery drains. Excellent resistance to falls (2m), impacts, and crushing (80kg). 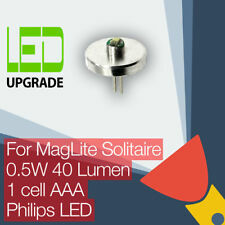 MagLite Solitaire compatible LED bulb with integral metal heat sink for outstanding heat dissipation and performance. Efficient 0.5W Philips LED with 40 lumen output. 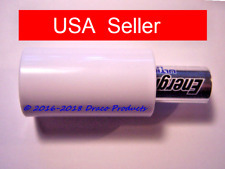 Designed for 1 cell AAA MagLite Solitaire torches. A whopping projected lifespan of 50,000 hours! Simple installation, straight swap for the existing bulb – no tools required. Product Number : E78CHB2. Suitable for proximity lighting, with constant lighting technology that ensures brightness does not gradually decrease as the battery drains. Excellent resistance to falls (2m), impacts, and crushing (80kg). Peli 1965Z0 Mitylite Led Torch Yellow. Condition is New. Dispatched with Royal Mail 1st Class. Product Number : M3A012. Mag-Lite family of torches have precision- machined bodies. The body is then anodised externally and internally to ensure that it is durable and corrosion-resistant. High-grade rubber seals are used in every torch to ensure that it is water and shock-resistant. Bulb Type : LED. Site Safety. Hand Tools. Waterproof, aircraft aluminum casing. Tough PVC flexible insulated cable. High-intensity 100,000 hrs LED available in Arctic White or Ice Blue. Length: 35.5cm (extended), 17.15cm (folded). Unilite Atex-RA2 210 Lumen Right Angle Torch 4Xaa. Superb condition, like new. Only ever used once. Dispatched with Royal Mail 1st Class. PM for more details. Unilite prosafe PS-H4 LED Helmet Mountable Headlight 200 Lumen. Condition is New. Dispatched with Royal Mail 2nd Class. Product Number : SP2201H. Balanced Optics LED brilliant adjustable beam that focuses simply by rotating the head. Features: LED beam that focuses simply by rotating the head. Balanced Optics, combining a highly refined reflector with a quality LED, for a brilliant adjustable beam. Balanced Optics LED brilliant adjustable beam that focuses simply by rotating the head. Features: LED beam that focuses simply by rotating the head. Balanced Optics, combining a highly refined reflector with a quality LED, for a brilliant adjustable beam. The patented Advanced Focusing Optics allow for seamless selection of a spot beam for distance illumination or a flood beam for near illumination. The 3xAA batteries (supplied) can easily be changed without the need for any special tools or allen key. Ledlenser EX7 Zone 0 torch x 1. The battery carrier is then reinserted into the body of the torch, ensuring that the arrow on the carrier lines up with the arrow on the rim of the body and the head is then screwed back on tightly. Sira 15 ATEX 2166X. Type: ATEX hand torch. Regulatory Compliance: CE / RoHS / ATEX / IECEx / UL. Unilite ATEX-RA2 hand torch x 1. Rather than facing forwards on the end of the torch like a regular hand torch, the light is positioned at a 90° angle, so that for example, if you need to inspect the inside of a small unit you could easily do so without having to hold the torch horizontal to be able to get the light where you need it. Bulb Type : LED. Site Safety. Colour : Black/Yellow. View this range. Weight : 250g. Number of Batteries : 4. Beam Distance : 135m. Product Number : ATEX-RA2. Condition is New. Tactical Push Button Switch. IPX4 Water Resistance. Contoured Non-Slip Hatch Grip Body. SOS Flash Function. We do NOT accept non sterling cheques/money orders. The item is supplied in good working order as shown turned on below. The Ledlenser P7 is the perfect all-rounder. The patented Advanced Focus System optics enable flood (distance) or spot (near) illumination and the three light settings enable tailored light for the job in hand. Certificate ATEX Baseefa 07ATEX0091X / IECEx BAS 06.0089X. The compact torch design has a high-grip ergonomic form with easy single-handed switching, even with gloved hands. Enclosure Impact Resistant Thermoplastic, Chemical Resistant, Static Dissipative. All the usual hallmarks of Unilite quality are present. Type: Hand held police LED torch. Lamp Type: Cree White LED. Impact Resistance: 1 m. Switch Type: End cap switch. Strap: Wrist lanyard included. The beam can be directed with-in a 55° angle. For added safety, a rear red light acts as a positional marker to locate the wearer. For ease of use the 3xAA supplied batteries can easily be replaced without the need for any special keys. Product Number : E87AHBC. Three programmable modes, ten possible power levels. Head strap mounting.Beam range: 230m. Weight: 176g (with batteries). - images are for illustration purposes only. Bulb Type : LED. The torch is robust, durable and compact, has a water-resistant aluminium body and is drop impact resistant up to 1m. Body Material Aluminium. Soldering Iron Stands. Lamp Type LED. Product Information. Ledlenser EXH8 Zone 0 head torch x 1. Type: ATEX head torch. The selector ring switch on the head has two off positions, low position and high position so you can easily select the brightness level required. Bulb Type : LED. View this range. Number of Batteries : 1. Beam Distance : 155m. Product Number : HV-FL1. Battery Size : AA. Colour : Black. Case Material : Die Cast Aluminium. 1-95-146 Stanley Torch Maxlife 369 Led Tripod. Tripod folds in to use as a regular flashlight. 6 x bright white, solid state LEDs. 100,000 hours average lamp life. Low power indicator light, alerts you when only 6-8 hours of useful light remaining. A simple pull/push of the lamp head and either beam can be focused for spot (distance) or flood (near)illumination via the Patented Advanced Focusing Optics technology. The light beam is easily directed within a 55° beam angle to where it is most required. Model: 639807. MPN: 639807. Non-Faulty Goods. All goods are new unless stated otherwise. Faulty Goods. 1965Z0 Small enough to fit in your pocket, yet bright enough to illuminate your work space, this torch is ideal for rugged industrial use. It has long lasting, energy efficient LEDs and a tough Xenoy pocket clip.Approvals: ATEX Ex II 1 GD Ex ia IIC Ga Ex iaD 20 IP65 T90oC Da. 85m beam range, 90° rotational head. 6 lighting modes. 5mm red LED for night vision. 1m impact resistant. IPX4 water resistant. - images are for illustration purposes only. Bulb Type : LED. View this range. Infrared motion sensor technology. SOS flash function. 90� rotational head. Product Number : M2A01L. Mag-Lite family of torches have precision- machined bodies. The body is then anodised externally and internally to ensure that it is durable and corrosion-resistant. High-grade rubber seals are used in every torch to ensure that it is water and shock-resistant. AS GOOD AS NEW - 9 MONTHS OLD. CAN BE USED IN CANDLE EFFECT - SEE LAST PHOTO. Water resistant. Beam Range 131m. 1m impact Resistance. The pencil torch can be used for different type of work eg. Small dark area with limited accessibility, Car repair . 1x pen flashlight. 6 Different Colour. 6 Body Colour - Red/Yellow/Silver/Black/Pink/Green. Unilite HV-FL1 LED Torch x 1. The tail switch cycles through the modes in the order of low, mid, high, strobe with quick presses. After it has been in any mode longer than three seconds, the next press will turn the torch off. 300lm White Seoul LED. Synthetic industrial grade rubber housing. Safety wrist strap (included). Textured handle for extra grip. IP56 dust and waterproof. Ultra tough polycarbonate reflector. The Stanley MaxLife 369 LED Tripod Torch holds the next generation of LED diodes for maximum clarity and durability. The tripod design allows hands free operation and with a tilting lens and multi positional head you can direct the light exactly where it is needed. The H5 head Lamp is the first from the range to incorporate our new advanced focus system. A red LED in the battery box provides a great back light for joggers and walkers at night. - Advanced Focus System - spot to flood. This LED aluminium pocket inspection penlight from Unilite is a well designed, robust and weatherproof source of light ideal for all indoor and outdoor situations. Manufactured to a high standard courtesy of the strong aluminium body, the water resistant light is also equipped with a number of excellent features, including the 9 high-powered SMD LED's, rubberised micro switch operation and iron alloy magnetic pocket clip. Advanced Focus System™ Optics. Patented reflector and lens combination for intense spot (distance ) or flawless flood (near ) illumination. Elegant and technologically advanced Headlamp. All components are splash-proof for wet weather protection. Heavy duty R1UG 1.5V Carbon Zinc Battery. 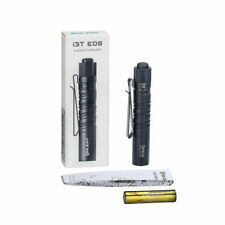 Pack of 2..
369 technology allows the flashlight to run on 3, 6, or 9 AA batteries. Single LED technology provides a strong spot beam. Anodized aluminum construction tripod legs. - images are for illustration purposes only. Beam range: 10 m. LED: 9 x SMD White LED's. The high visibility technology ensures that health and safety concerns are considered, you will certainly been seen and be able to see with this pocket light. Product Number : EWT003. It is manufactured from tough and durable rubber body that is waterproof making it ideal for outdoor applications. Features:• Super bright 3w CREE LED. • Beam distanceL110m.